… and just like that, winter is still in Germany. 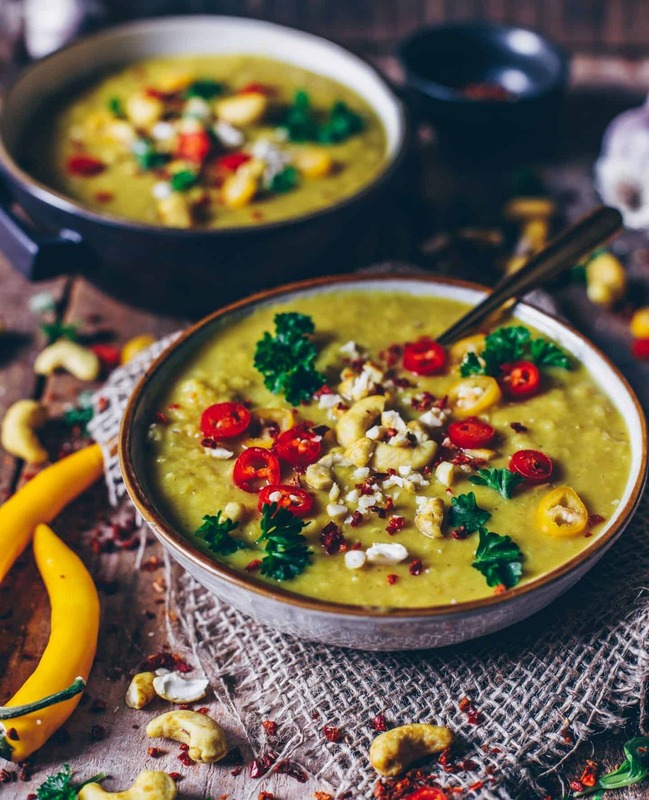 Due to these cold temperatures that seem to make everyone freezing, I thought it might be good idea to share a recipe of this delicious vegan yellow lentil dal which definitely warm you up. I mean what is even better than enjoying a warming meal while wearing cozy clothes and fleecy socks cuddled up under a blanket on the sofa?! I think there is nothing better than that! ? This yellow lentil dal is, of course, quick and easy to make. It doesn’t require a lot of ingredients and can be ready to eat in under 30 minutes. 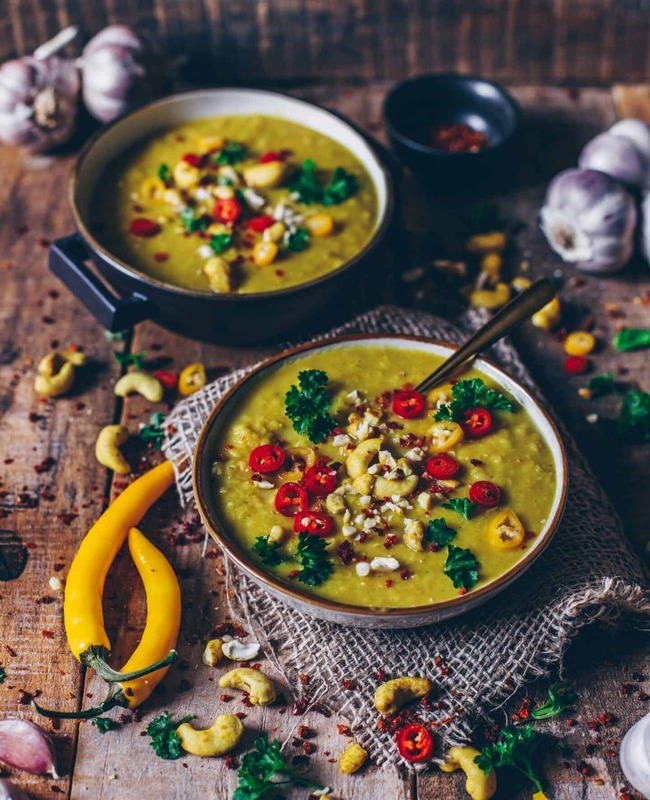 Moreover, you can also store it in the fridge and take it to work or university with you on the next day or you can easily freeze it, so you have always a delicious soup in stock to defrost when you feel cold. I love lentils because they’re very rich in micro nutrients like magnesium and iron as well as in macro nutrients like carbohydrates and protein, so they nourish your body perfectly. 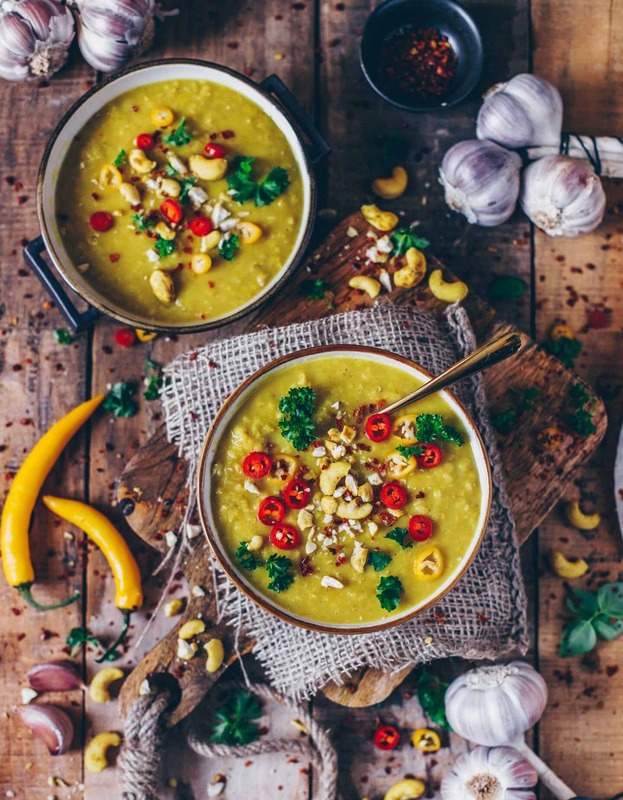 Also now let’s start with the recipe of this healthy, delicious and nourishing yellow lentil dahl! ?? Peel onion, garlic and ginger and chop them finely. Heat the butter (or oil) in a saucepan and add chopped onions, garlic and ginger along with the spices and seasonings. Sautée everything for about 5 minutes. Add vegetable broth and lentils, bring to the boil, reduce the heat and let it simmer for about 15 minutes. As soon as the lentils absorbed most of the liquid, stir in coconut milk. Season with lemon juice, pepper, salt and a bit of sugar to desired taste. Allow to steam for a few minutes more, until lentils are soft. Add some more water or coconut milk, if necessary. Garnish with fresh chopped parsley, cashew nuts and chili as desired. Serve with fresh baked naan bread or with rice or just pure, however you like. Thank you so much Ela!??? I‘m happy that you like the recipe! I love cozy comfort food like this! And love the way you’ve style it – the sliced chili peppers on top are so cute! I‘m happy that you like the recipe and picture ? Incredible! I added extra spices and could have eaten the whole pot. The cashews we’re great. Thanks for sharing! So glad that you liked the recipe ?? i eat vegan but my family doesn’t buuuut my mother wanted to cook something vegan for everyone and me and i showed her your blog and today she made the soup. it was so delicious for us all and i will certainly cook it again for my friends!